One of the saddest legacies of the Twentieth Century was the invention, by necessity, of a new literature, the literature of the Holocaust. 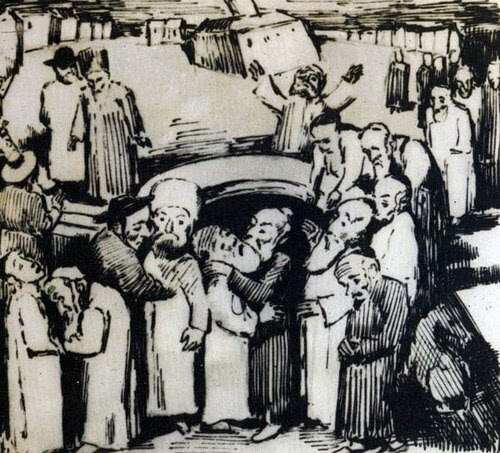 We find, next to the histories of the war in general and the liquidation of the Jews specifically, personal memoirs of survivors (an inadequate designation) and those who did not survive. We have the works and testimonies of Weisel, Levi, Appelfeld, and a nondescript girl from Amsterdam whose name is etched forever into the annals of human sorrow. Included in this literature are secondary works, echoes of the loss, which reveal the scars which have passed to second and third generations, and which continue to manifest themselves. 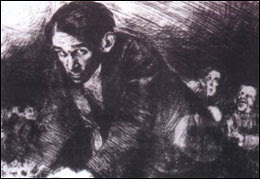 The author and artist Bruno Schultz lived 50 years before his life was ended by a bullet from the gun of a Gestapo officer. This death occurred not in Auschwitz or Treblinka, but on the streets of the Polish village of Drohobycz, where Schultz, carrying a luxurious loaf of bread and living on borrowed time, was under the apparently inadequate protection of another officer who admired his visual artistry. The author of Cinnamon Shops (aka The Street of Crocodiles) and Sanatorium Under the Sign of the Hourglass, two surreal autobiographical works set on the streets of Drohobycz, died on one of those very same streets. 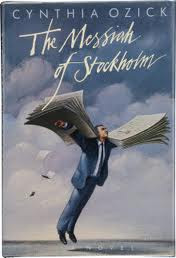 Cynthia Ozick’s The Messiah of Stockholm (1987) is another of the echoes of loss. It concerns one Lars Andemening, a book reviewer for a mediocre Swedish newspaper, who has immersed himself in the literature of Central Europe and who had come to the conclusion that he is the son of Bruno Schultz, who died on a cold November day in 1942, killed by a nonchalant Gestapo officer and who, in addition to two published works, is rumored to have left the manuscript of an lost work entitled The Messiah. Lars shares his obsession with the owner of a small bookshop, an elderly German refugee named Heidi. Heidi also claims to carry the scars of the Holocaust. As a girl, she lived near one of the camps, and would venture out on dark nights to lob packages of food over the barbed wire, listening for the sound of the Jews pouncing upon the packages like hungry dogs. Heidi is an irascible sort, with a rumored husband whom Lars never sees and who feeds him documents and letters pertaining to Schultz smuggled out of Poland. This is the totality of Lars’ life: reviewing the works of Kundera and Kis for an unappreciative public, sleeping through the afternoons, and meeting Heidi in the hopes of obtaining new relics of his “father”. The theme of Ozick’s short novel is the question of how one reconstructs one’s life and identity when true identity has been stolen. How do we claim a birthright, a personal history? How do we insert ourselves into that mystical flow of heredity when our unknown fathers and mothers have been obliterated from the face of the earth? And how do we react when our carefully constructed reality is challenged by that of another orphan? Ozick’s novel takes some turns which it would be inappropriate to reveal. Questions remain, particularly regarding an agonizing decision for Lars, who, when faced with the dubious manuscript of The Messiah and what appears to be a cabal of swindlers, takes an irreversible action that necessitates the creation of an entirely new persona to mitigate the potentially devastating psychic effects of that action. While perhaps not a major addition to the canon of Holocaust literature, The Messiah of Stockholm is nevertheless worth a read as an echo of the loss, a testament to the memory of one man among millions who died a tragic and undeserved death. *Ozick’s speculation regarding the theme and content of this work, revealed through Lars’ reading of it, is wonderfully imaginative.